Gillywater is an alcoholic beverage that Professor Minerva McGonagall orders while at the Three Broomsticks with Cornelius Fudge, Rubeus Hagrid, and Filius Flitwick. 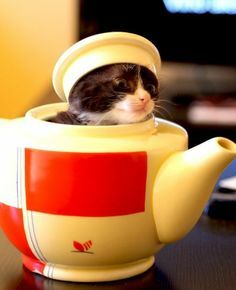 I am not sure if it is related to the real Gillyflower (carnation), which is seen in winemaking recipes from the 1700s and is said to taste of spice and cloves. Grown organically, the flowers are entirely edible. It’s more likely that Gillywater is related to the magical plant Gillyweed which Harry Potter consumes in order to win the second round of the TriWizard Tournament. In the books, Gillyweed is described as bundles of slimy, grey-green rat tails. When eaten, it stimulates a temporary growth of gills and webbing between the fingers and toes, and allows one to process oxygen from water. In my mind, the addition of alcohol inhibits this (sometimes inconvenient) transformation. 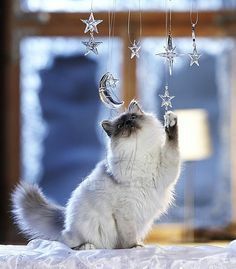 It is also enjoyed by Luna Lovegood who drinks it with a cocktail onion on a stick like a martini. Later, Harry is offered Gillywater by fellow student Romilda Vane who has spiked it with Love Potion. 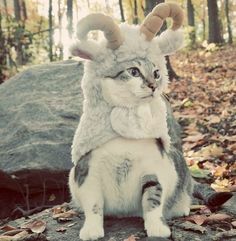 I imagine it as a Gin and Tonic style of cocktail—faintly bitter, refreshing, with a hint of grass or herbs from the spirit. 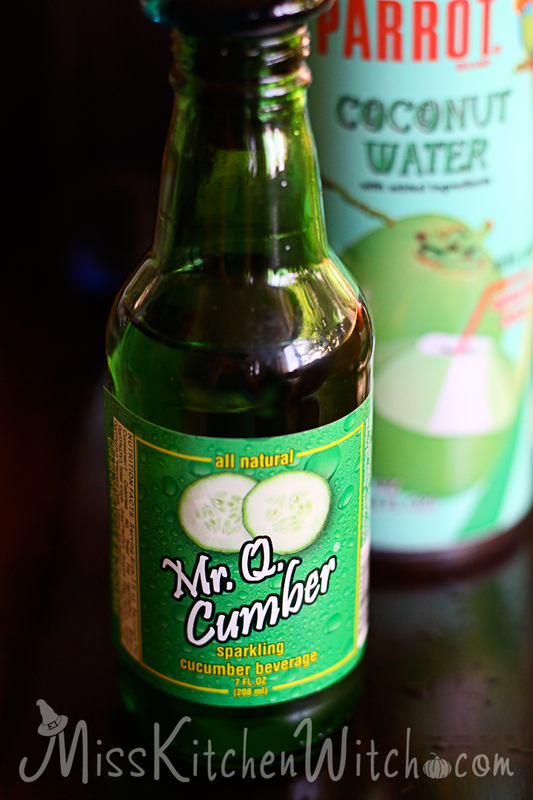 Mine uses mint for the flavor and coconut water for the slick taste and pulpy look. 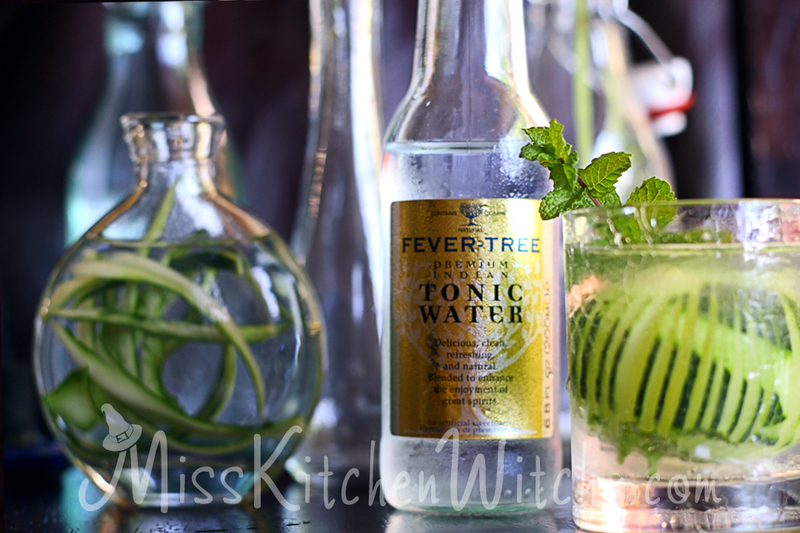 If a freshwater plant and lake water were a cocktail… I garnished mine with a flared cucumber, but I have a feeling it’s a little more fancy than what The Three Broomsticks would have served! 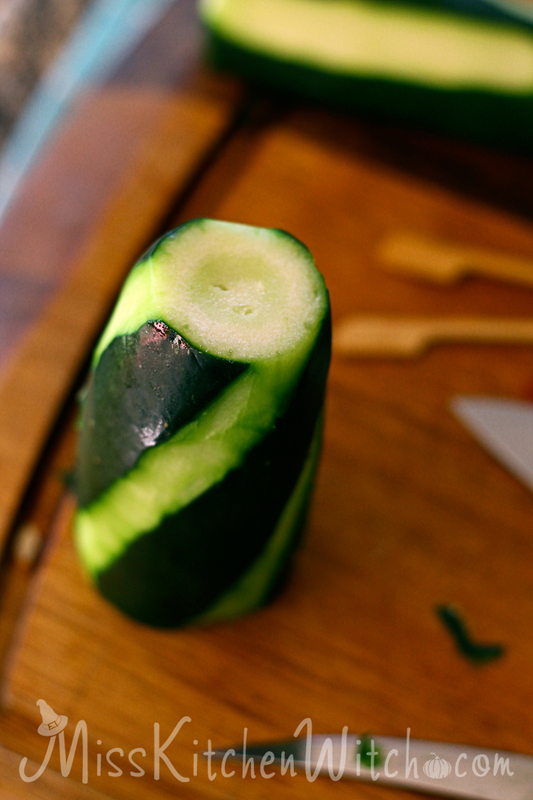 For the cucumber garnish, peel your halved cucumber into a spiral. 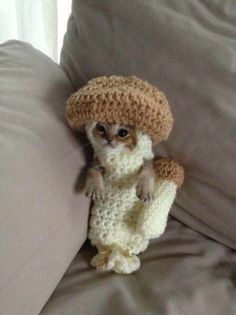 Be careful not to take off too much, just the skin. Halve again, lengthwise. 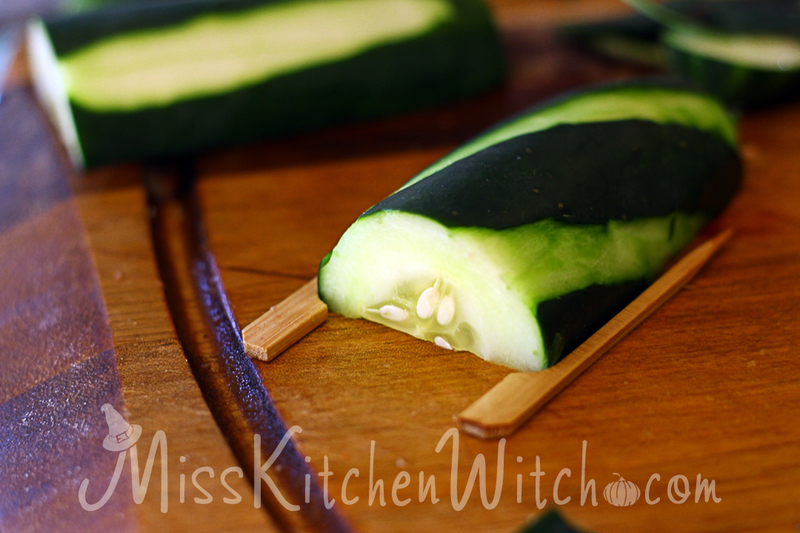 Place a few toothpicks alongside the cucumber half. 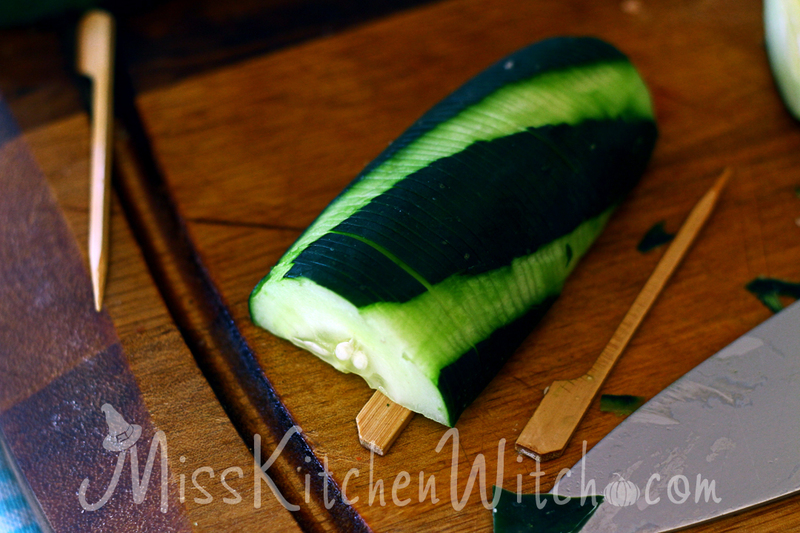 Using a VERY sharp knife, cut slices into the cucumber, stopping at the toothpick. Be sure to keep your cuts even, otherwise the flare will look off. 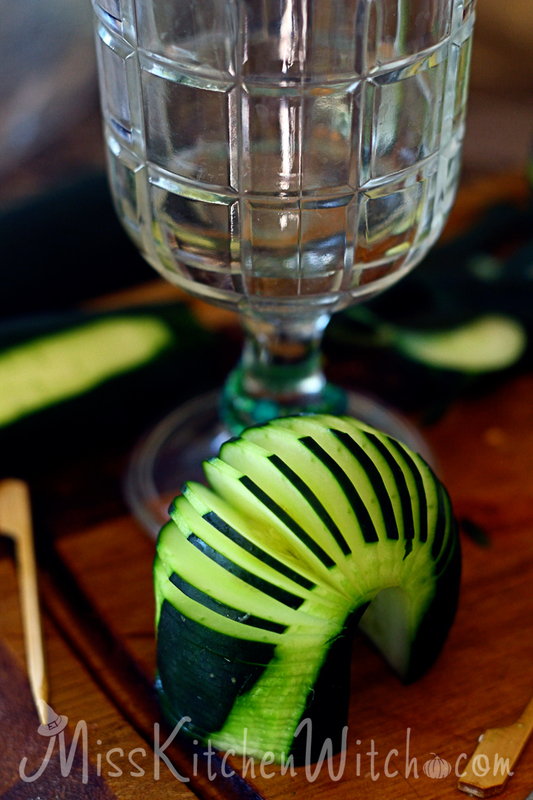 Bend and spread your cucumber and trim as short as you need it to fit as a ring in the glass your using. I recommend a short english hi ball glass. 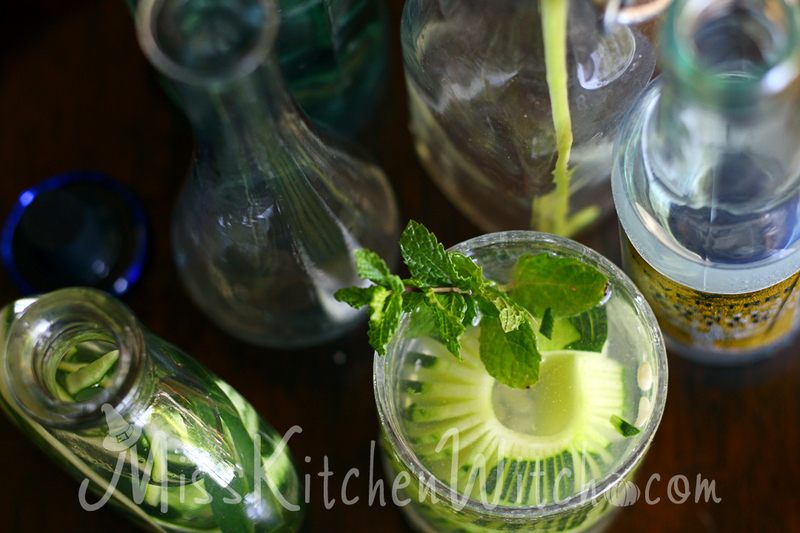 Muddle a few leaves of mint in the bottom of your glass or mince it up with a knife and drop it in. 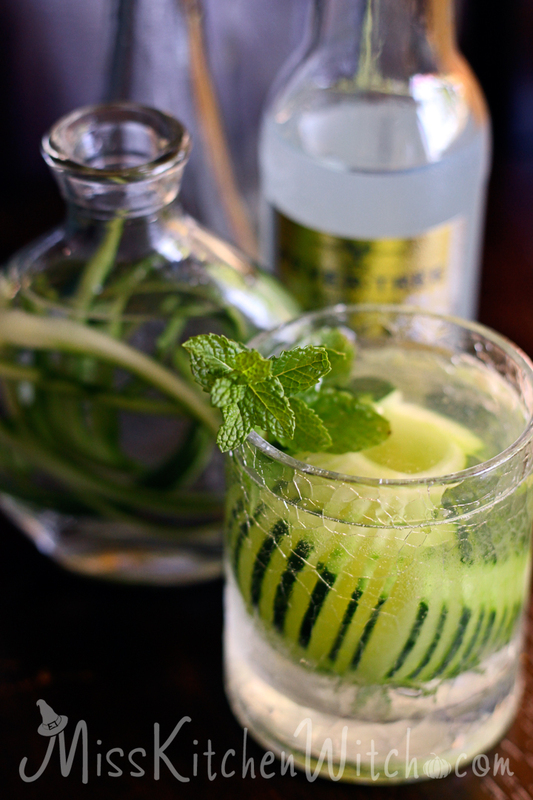 Add two or three ice cubes, followed by the cucumber garnish, then a few more ice cubes. 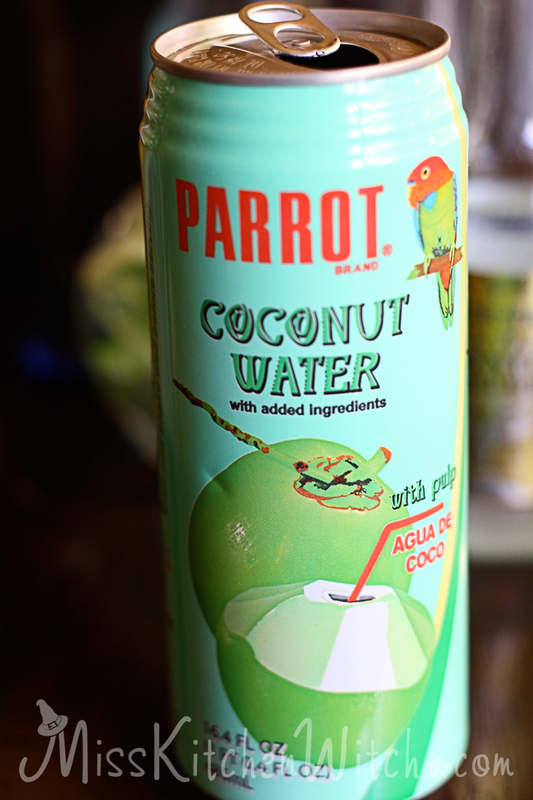 Pour a shot of each coconut water and gin over the ice and garnish. 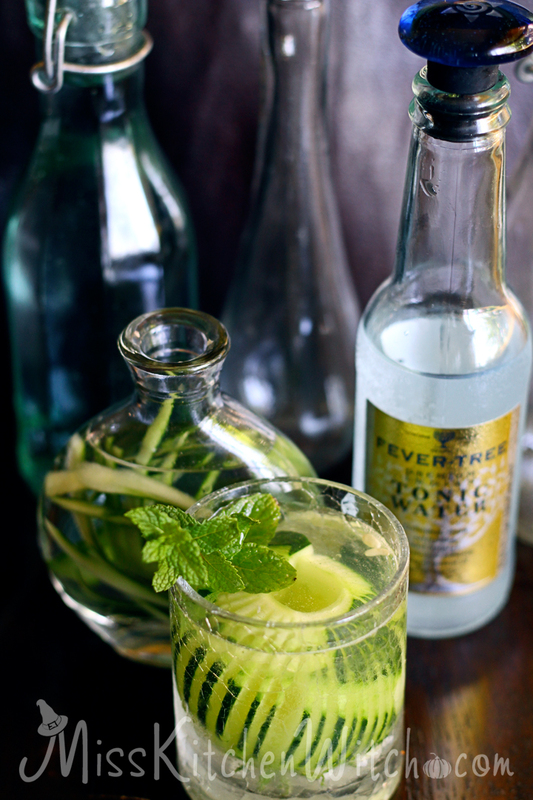 Top up with tonic or the cucumber soda and garnish with another little sprig of mint. You might need to separate the cucumber flares a little bit with a toothpick before serving. Enjoy responsibly or you’ll be hearing from the Ministry of Magic!